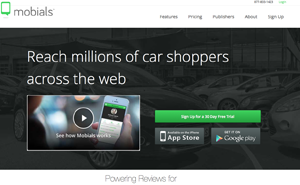 Mobials Inc. has launched a new software program and mobile app designed to give the power of online reviews to dealers. Mobials said the application, in its most basic terms, gives salespeople a system to capture reviews, positive or negative, through a mobile platform that is as easy as sending a text message. Customers can respond with a star rating out of five and a quick comment on the service. Ratings are then syndicated to the dealership and salesperson’s social accounts like Facebook and Twitter and can even extend further to the customer’s accounts. “The existing ecosystem is a closed system,” explained James Hayes, co-founder and CEO of Mobials. He said sites like Google Reviews and social media outlets like Yelp and Facebook have built “review ecosystems.” He added that the extra layers of complexity were not useful in dealerships because they made users jump through so many hoops. Want your latest happy sales customer to post a review of your service on Google? First they will need a Google account. If they do have an account and review your company, their kind words will only be published by Google. It won’t make it to Yelp, Yellowpages, Facebook or any automotive publishers. Hayes sited the example of Birchwood Chevrolet in Winnipeg. The store sells roughly 150 cars a month and has an additional 20 to 30 service interactions per day. “They have four reviews on Google,” he said during a spring demo of the software. The store does not have any reviews listed with Bing or Yellow Pages, either. Instead, he said Mobials is building an inclusive ecosystem that has influence over the sales and service process. Noting there were additional publishing partnerships in the works, he said the goal was to work with dealers and their partners and said Mobials is going after close to 50 publishers in Canada and over 100 in the U.S. to have dealership ratings included on vehicle listing sites. Mobials said the functionality is similar to text messaging and can capture positive brand experience at the moment of delivery. “Your sales person will send the customer a request for a review via text that can include a picture of the customer with their new car. When the customer touches the link, they can offer a star rating out of five and complete a review. Once the review has gone through authentication, it will automatically syndicate to whatever social sites the dealership wants. It will also go out to social sites for friends and family of the customer,” he added. 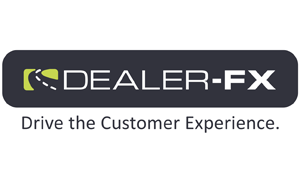 Dealerships can also use the program for targeted custom advertising. Hayes said sales people could put a note in the mini-CRM solution on the app that will create a promotion and send it to the customer via text offering discounts on tires, service work and more. Mobials has been beta testing its product in a handful of dealerships since the second week of June. The Mobials app costs $585 per month for unlimited number of service or sales users and gives the dealer access to the mobile app (iOS and Android compatible) promotional tools, publisher network and premium analytics for dealer groups.